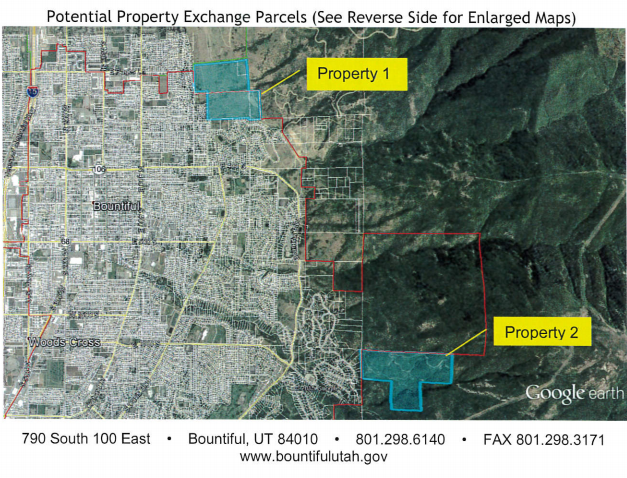 A pair of developers want to swap 160 acres of privately held land above Bountiful for roughly the same amount of acreage of National Forest Service property—an effort that would require an act of Congress, but will begin in earnest on Tuesday evening at the Bountiful City Council meeting. The city council’s staff report says the men, Ron Crapo and Jaren Davis, hope to build homes on the property, which is located near the Bountiful Lions Rifle, Shotgun and Pistol Range. The developers are seeking the council’s support. Details on the project are scant, but the staff report says the development would include some number of homes, preservation of open space and continued operation of the gun club. The 160 acres of private land that could be traded is located on the southern end of town, and is also in the foothills. 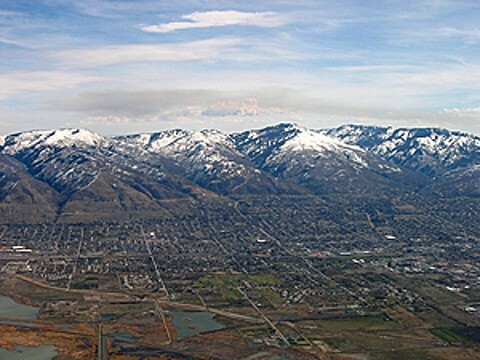 The gun club and possible development is on the north side of town, and appears to straddle the border of Bountiful, some unincorporated land and Centerville. Loyal Clark, a spokeswoman for the Forest Service, says the forest service is aware of the proposal. However, the developers, she says, have not yet presented their plans to federal land managers. “We would be open to reviewing a proposal,” Clark says. The city council staff report indicates that a nod of approval at this early stage could spell confusion later, as support for the land swap could lead to the impression that the city is in favor of whatever future development plan is set forth. “As a practical matter, it will be difficult for the city council to endorse the land exchange now and then later refuse to approve the actions necessary to implement the development, such as annexation, rezoning, amending the land use ordinance and the use of city property,” the report says. The public hearing is Oct. 27, 7 p.m., at Bountiful City Hall, 790 S. 100 East.